Washington Project for the Arts (WPA)’s opening of its newest exhibition, Cream, is this weekend, and the show runs January 30 – March 6, 2010, at the American University Museum at the Katzen Arts Center. This annual exhibition features works by more than 110 local and national artists selected by an esteemed group of eight top curators including scholars, museum directors, practitioners and collectors. All works are on view until the WPA Annual Art Auction Gala, which will take place March 6, 2010, during which the exhibited works are available to the highest bidders. An opening reception will be held on Saturday, January 30, 2010 from 6-9pm, along with a talk by the curators on Thursday, February 25, 2010, 6:30-9:30pm, both at the Katzen Arts Center, 4400 Massachusetts Ave. NW, WDC. The 29th iteration of this exhibition highlights some of the region’s most talented artists, presenting a broad range of media and styles of both new and emerging artists as well as more established career artists. 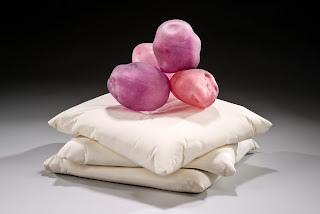 Cream is a notable survey of contemporary art in the region and beyond, with selected works representing the cream of the crop and the talent of the artists included that rose above thousands of others viewed during the curatorial process. 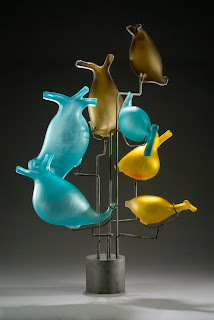 “We are tremendously pleased with the participating curators and their art selections – the work is fresh and exciting, and there are artists with long-standing ties to WPA as well as new names that the curators are introducing to the public,” said Lisa Gold, WPA’s Executive Director. 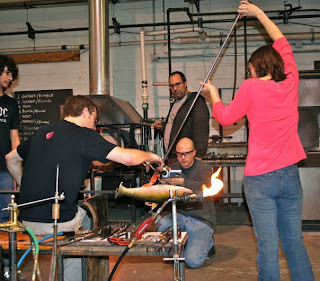 Four artists (David D’Orio, Joseph Corcoran, Steven Jones, and Megan Van Wagoner) of DC GlassWorks created special glass sculptures for the Art Auction Gala. These pieces will be featured in the museum exhibition and on the dining tables during the auction event, and are available for bid. Click HERE to see the WPA link on these works. 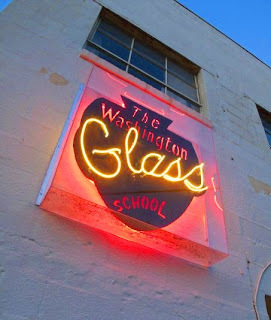 The Washington Glass School has an immediate opening for a Studio Coordinator in its Mount Rainier, MD location. 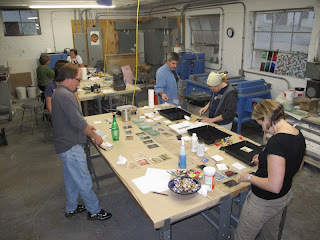 Founded 8 years ago, this is one of the busiest studios on the east coast. We are not only an educational venue, but we are the home of many successful independent artists as well. 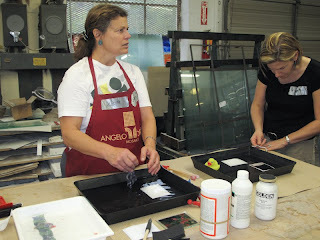 We also work heavily with large scale public art projects. Comfortable with people and able to possibly teach classes in future. 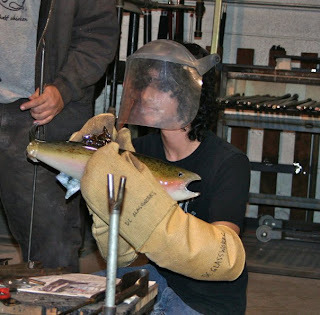 100 things that might come up….and do. 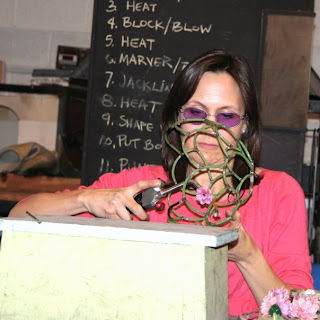 The ability to see how a very successful sculpture studio operates. 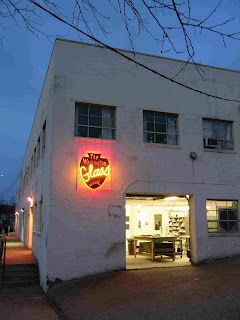 Many gallery and show opportunities. 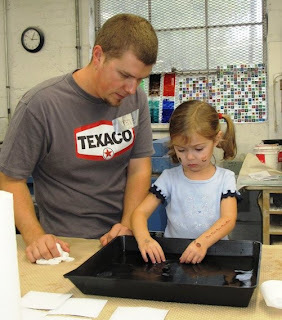 Mentoring for your career as an artist. 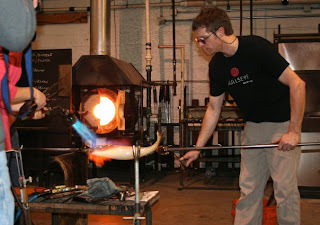 This is a great opportunity for someone who would like to further their sculpture or glass career……and to join one of the most successful teams in the region. 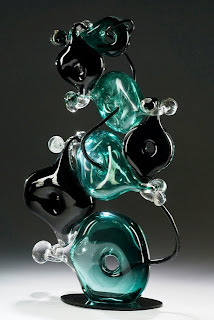 Please email Tim Tate at TimTateGlass@aol.com . 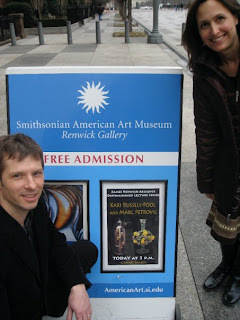 Marc Petrovic and Kari Russell-Pool honored at the Smithsonian American Art Museum’s Renwick Gallery in Washington, DC. 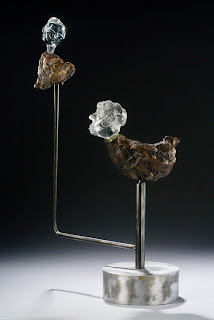 The James Renwick Alliance “Distinguished Artists” series featured Marc Petrovic and Kari Russell -Pool, with a presentation of the two artists at the Smithsonian American Art Museum’s Renwick Gallery this past week. As part of the event, artwork by Marc and Kari were on exhibit. 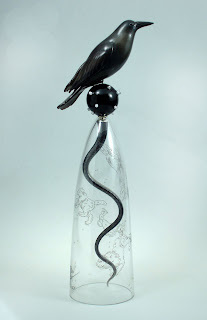 Mark and Kari will be offering one of their works to be included in the upcoming James Renwick Alliance auction that will be part of DC Craft Week this April 20-25. 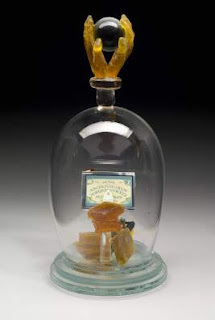 Exhibit of Petrovic and Russell-Pool in the glass gallery. 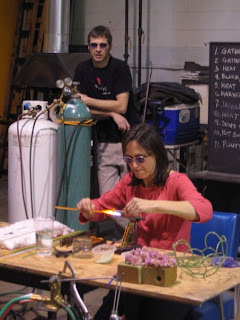 Opening on January 06, 2010, the Miami International Art fair (MIA) and a number of Washington Glass School artist were featured and did exceptionally well. The art fair, held at the Miami Convention Center, showcased the WGS artists in “The Next Generation Pavilion” a curated section of young artists who are emerging on the global arts scene. The invitational pavilion showcases artists exploring art and culture using a wide range of innovative media including electronic installations, video, light and sound as well as more traditional materials. Represented by Alida Anderson Art and Projects Gallery, each of the WGS artists had tremendous interest and sales! 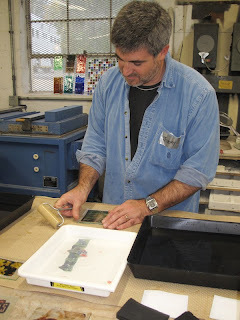 Tim Tate’s electronic and glass artworks generated both sales and museum interest. 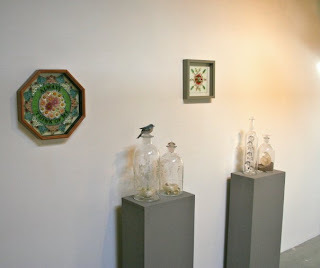 Tim Tates videos contained within his reliquaries were also projected on the wall – this one stars WGS artist Kirk Waldroff - whose cast glass prints are showing at NOVA’s Waddell Art Gallery. Anne Plant’s layered landscapes sold out – Well done Anne! 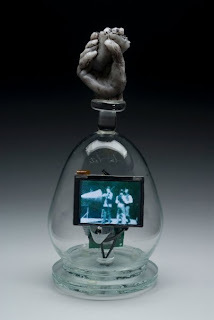 >Nicholas Bell, curator of the Renwick Gallery, a branch of the Smithsonian American Art Museum, said the recent acquisition of a multi-media work by Washington Glass School director Tim Tate represented a big step for an institution dedicated to showcasing one-of-a-kind handmade pieces because it includes an industrially made video screen as one of several elements. 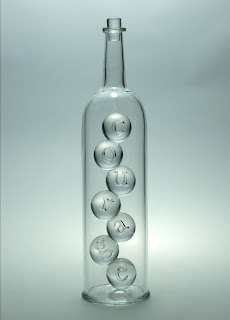 Tim Tate, Oracle, 2009. 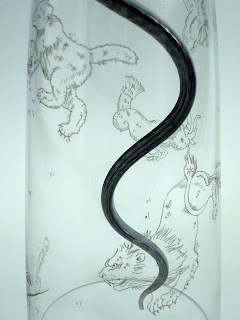 Blown and cast glass, electronics, original video. H 16, W 8, D 8 in. 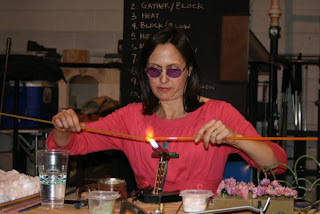 For the full story- click on this link to The GLASS Quarterly Hot Sheet. 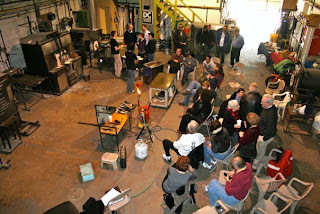 >Hot shop images to warm a cold January day. 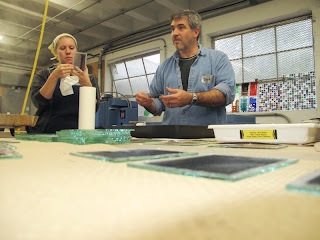 Click on image below to jump to BE video link of how they cast sheet glass. Click HERE to download the prospectus and application form . 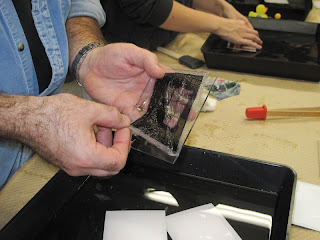 Alison & Pete Duvall’s class in polaroid – type emulsion transfer process was a big hit in the fall class sessions. 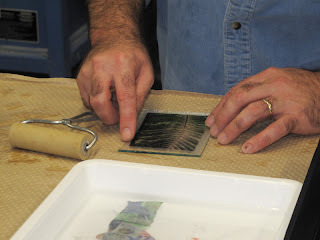 The workshop on photographic imagery transfer had everyone in the class integrating their imagery onto glass – here are some photos of the class. 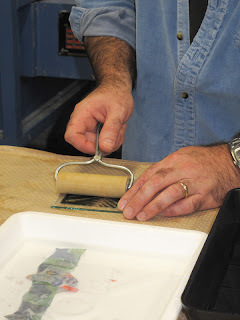 Pete & Alison’s daughter Zoe was the teaching assistant – shown here manipulating the emulsion from the backing. All photos by Anything Photographic. 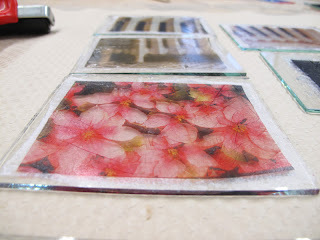 This class is part of the winter session as well – click HERE for more info. Art Palm Beach opens tonight! Tim Tate is featured at Philadelphia’s Projects Gallery booth. Celebrating its 13th anniversary, Art Palm Beach is a dynamic event in America’s premier winter destination, hosting international galleries presenting contemporary art, photography, video, installation art, public sculpture, and design.